Ron has over 30 years of experience in the pharmaceutical industry that has been focused on the development of therapeutic proteins. 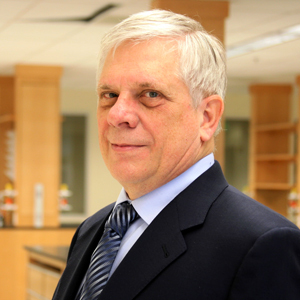 He has a proven track record of leading research and development teams that have delivered a broad range biologics. They have ranged from early molecules such as insulin and human growth hormone to monoclonal antibodies to yet more complex fusion proteins and bispecifics. In 25 years at Eli Lilly, Ron first worked on the forefront of the then novel recombinant DNA technology and developed technology and processes with E. coli-based systems that were truly innovative. When Lilly Research identified the first monoclonal antibody therapeutics, Ron worked on developing the processes for all of the early molecules that led to the production of material for clinical trials. In seven years at MedImmune, Ron played a similar role in Bioprocess Development as a Scientific Director and was involved in the development of new processes that could accommodate a portfolio of biotherapeutics that rapidly expanded from a handful of molecules to over 30. Ron earned his Ph.D. from Purdue University and did postdoctoral research at the Johns Hopkins University School of Medicine. He has authored over 20 publication and patents.